The Trapps were a pub rock band, formed in the late Seventies – and now they are back! Founding members Brett Godwin and Kevin Ballard have revived The Trapps with the view to reliving those gigs of the 70’s and 80’s again. The current lineup adds local leading musicians John Ballard and Brian Lambert to the mix. The Trapps name comes from the saying of “playing round the traps”, in reference to the number of Pub venues that bands used to play around in their gig circuit. In the Eighties The Trapps played a mixture of original and current covers and supported most of Australia’s Top bands that played on their way north to the Gold Coast. Some of which were Cold Chisel, INXS, The Saints, Jo Jo Zep and the Falcons, Mental as Anything, and Divinyls. The Trapps in early 2013 were chosen as Mid North Coast finalists in the ABC radio Exhumed competition, making it to the final six bands for the region. 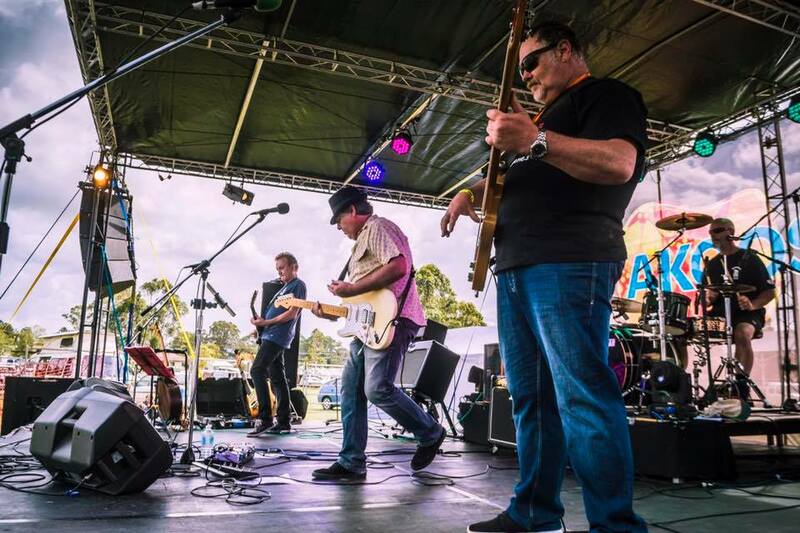 The gig at Bellingen was filmed on ABC TV and all six shortlisted acts featured on ABC Radio Mid North Coast mornings before the Exhumed gig.